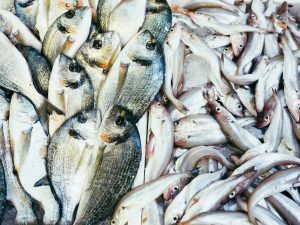 Did you know that some of the foods we eat every day have varieties that are toxic to us? 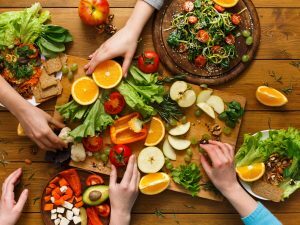 These foods may need cooking to make them safe to eat, or have related varieties that are poisonous. 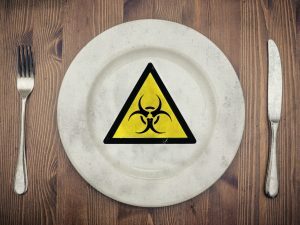 Here’s the lowdown on the daily foods we eat that have toxic relations or need preparing to remove the poisons. Cashew nuts are delicious and nutritious, but they are related to poison ivy and poison oak. 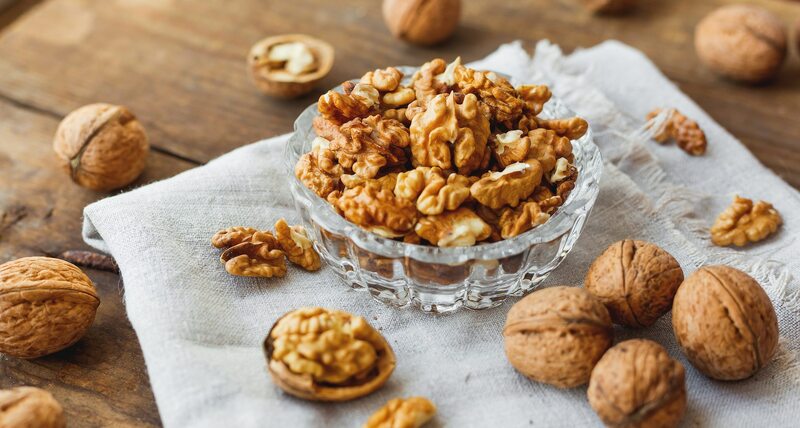 Urushiol is a skin irritant that is present in the shell of raw cashew nuts, and if it makes contact with the skin it can cause itching, rash, and allergy. 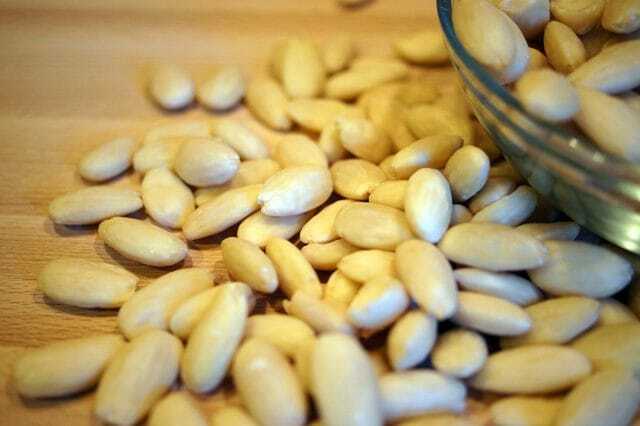 There is also a liquid on the inner surface of the cashew’s shell, which can poison the nut if it accidentally comes in contact with the nut while the shell is broken off. 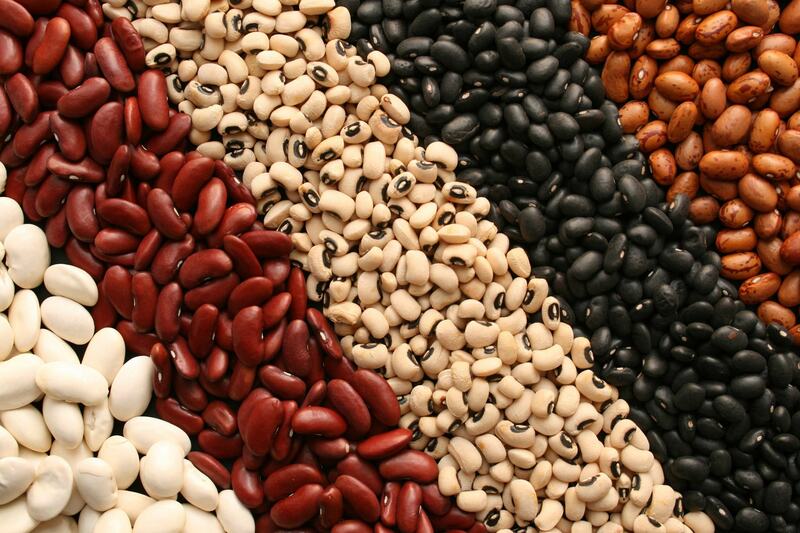 Some legumes, such as kidney beans, contain a substance called pytohemagglutinin (PHP), which is poisonous. This toxin affects cell metabolism, and symptoms include nausea, vomiting, and diarrhea within 3 hours of eating as few as 5 raw kidney beans. Don’t let this stop you from eating kidney beans, as canned ones are treated and cooked properly to bring the toxins down to safe levels. If you like to cook your own kidney beans, you must soak them for many hours before cooking, and then boil them in fresh water for 10 minutes or more. 3. Stone Fruits – Peach, Apricot, Almonds etc. These fruits taste great and are full of nutrients, but the stones and leaves contain hydrocyanic acid (HCN). 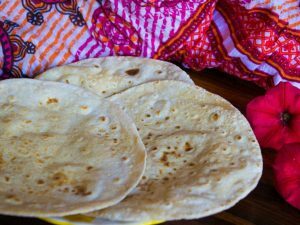 HCN poisoning can be fatal, as the cells stop absorbing oxygen even if oxygen is plentiful in the blood. 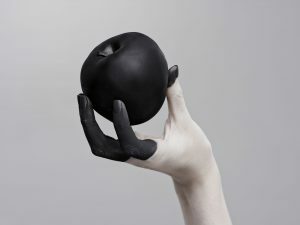 To avoid this, never eat the stones of these fruits. 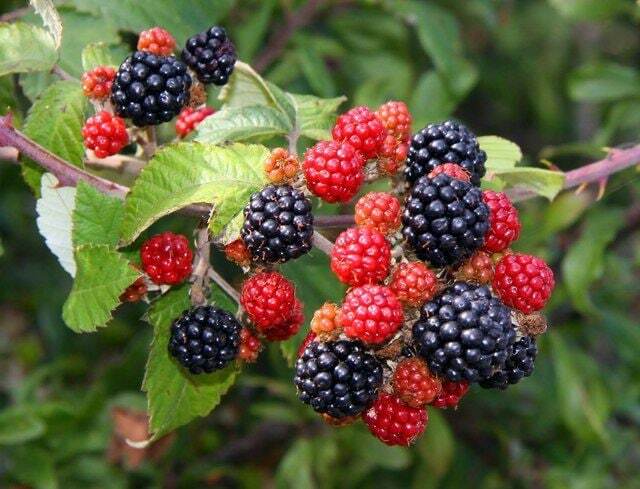 There are many wild berries including honeysuckle, yew, holly, doll’s eye and Jerusalem cherry, which are poisonous. Only 3 berries from holly and yew trees can cause nausea, sickness, and diarrhea. Children are often attracted to these brightly colored but toxic fruits. 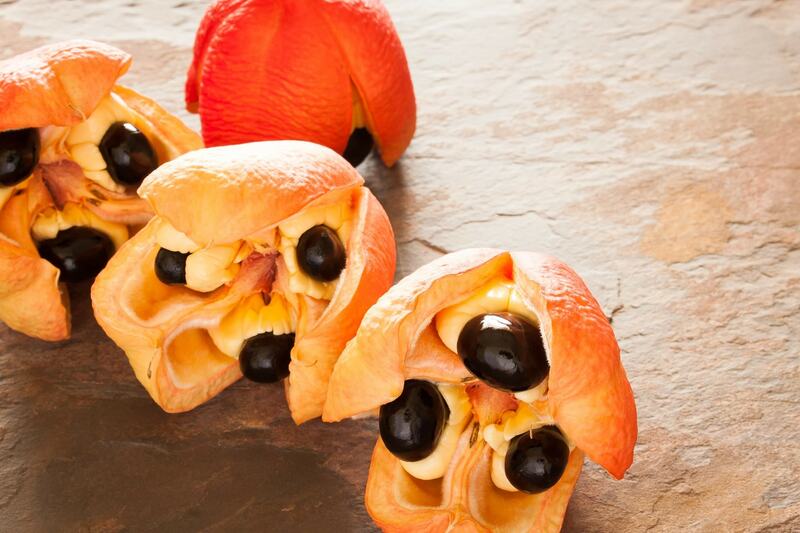 The strange looking fruit of the ackee is from an evergreen tree, and is from the lychee and longan family. The fruit is poisonous, and only the inner, fleshy yellow arils can be eaten after proper cleaning and cooking. Raw ackees and the inner red tissue of ripe ackees contain alkaloid toxins that can cause fatal hypoglycemia after vomiting and seizures, and is known as Jamaican vomiting sickness. 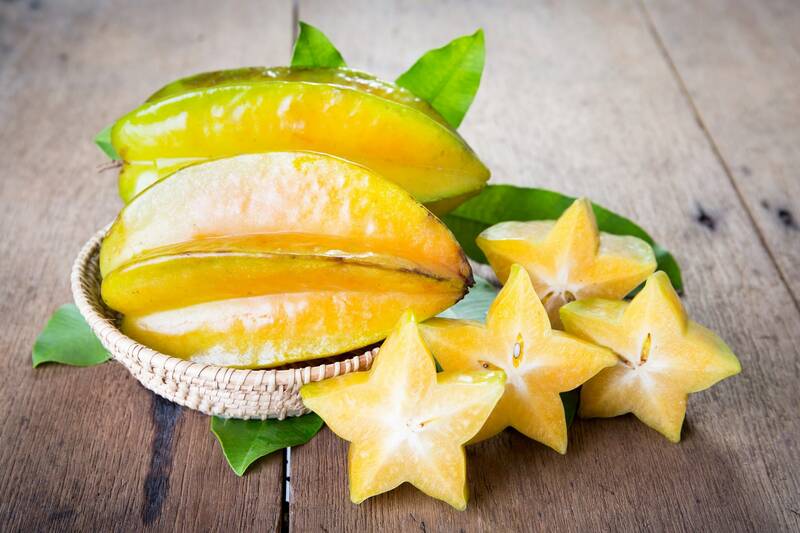 The star fruit is a waxy yellow tropical fruit shaped like a star, and tasting of pineapple, lemon, and plums. If too much of these fruits are eaten, or large amounts of the juice drunk, it causes oxalate nephropathy. Symptoms include nausea, vomiting, abdominal pain and backache. 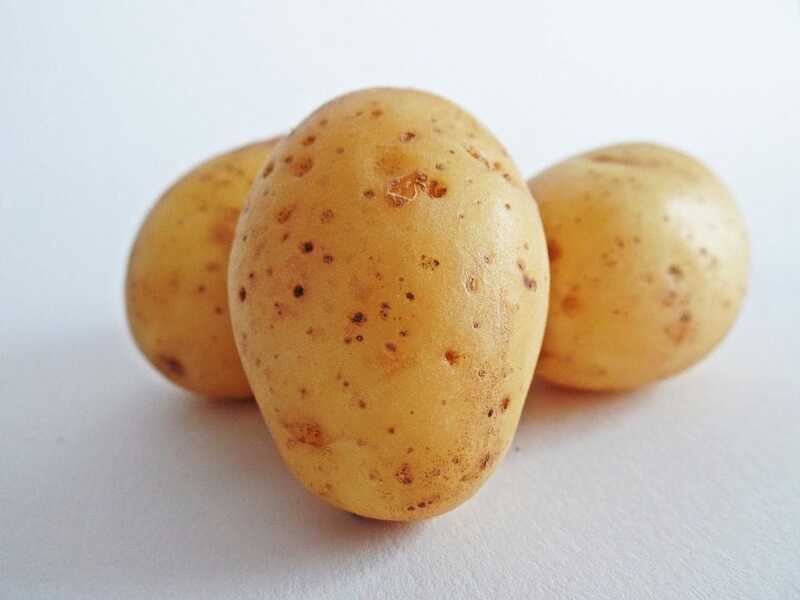 Potatoes are a popular and inexpensive starch, but green raw potatoes contain the glycoalkaloids solanine and chaconine, and the stem and leaves of the potato plant are toxic. Thankfully potato poisoning is a very rare occurrence. 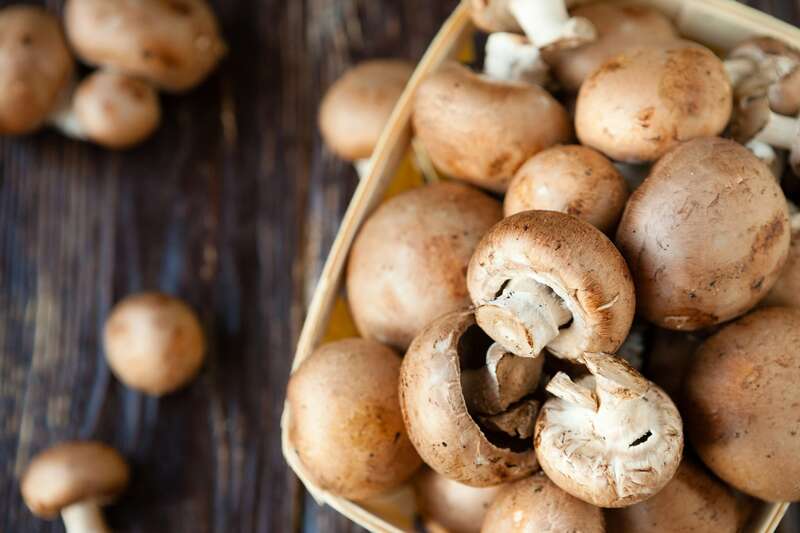 Edible mushrooms like portabella and shiitake are just two of many varieties of the fungus, and a lot of them are deadly. If you collect wild mushrooms to eat, you must know which varieties are safe, and which to avoid. 32 species of mushrooms can cause death, and 52 have a high poison content, so it’s vital to eat mushrooms only from a reliable source. 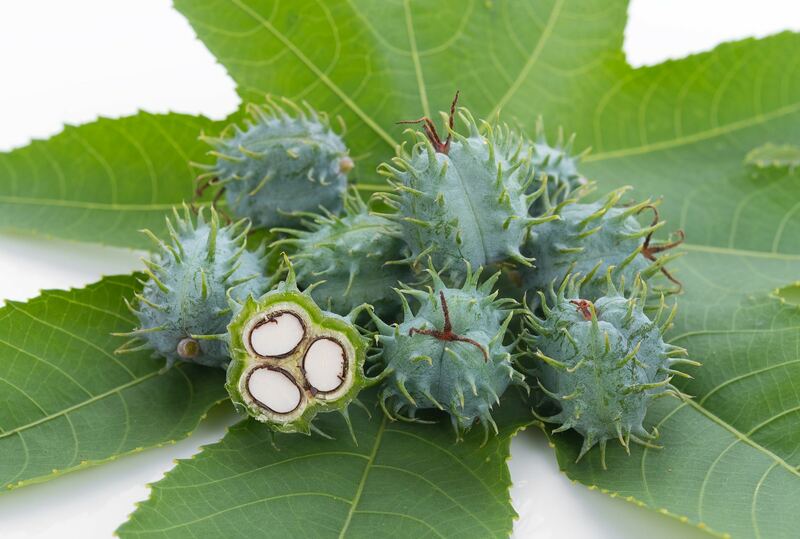 Castor oil used to be used as a home remedy for stomach aches, but the oil is carefully prepared because castor bean seed is potentially lethal. One raw seed is all that’s needed to kill a human, and four seeds kill a horse. 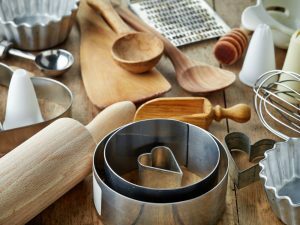 The reason is a substance called ricin, which is released when the bean is crushed, chewed, mashed, or finely ground. Severe symptoms occur within 12 hours of eating castor bean seeds, and it can be deadly after only one day. This fish is absolutely lethal if not prepared properly. 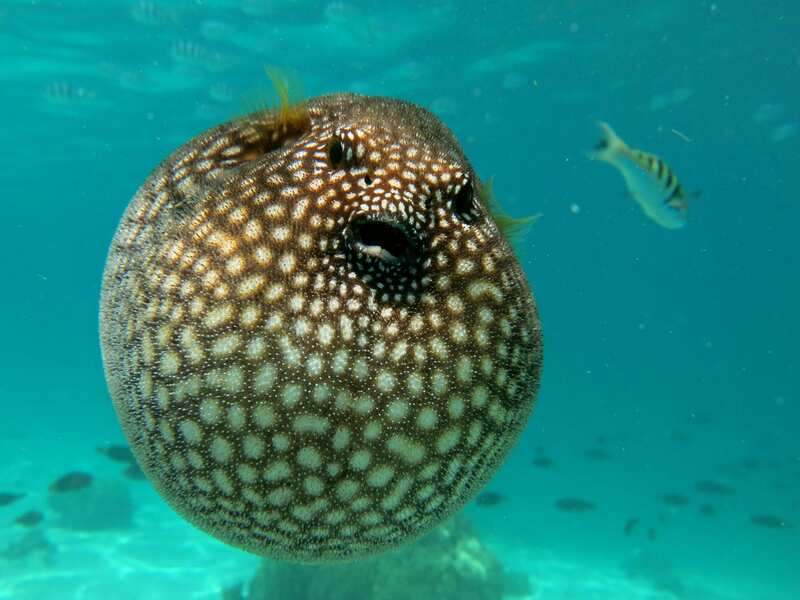 Tetrodotoxin is the lethal poison found in the liver, skin, ovaries, and other organs of puffer fish. The poison shuts down the nervous system and paralyzes the muscles. The symptoms include difficulty breathing, nausea, loss of balance, and dizziness, and there is no known antidote.